This week was supposed to be full of fun for us. It is turning out a little differently because I happened to take a nasty fall Sunday, breaking my leg. My ortho appointment went very well and I do not need surgery at this time (yay!) 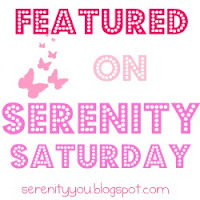 The week was going to have a huge damper on it as this is the first week of school for the girls and my husband had already taken the whole week off to spend a few days with us before school gets fully into swing (school for them has a staggered start so they go today but not again until next Monday). We were saved when I was able to borrow a wheel chair from a friend and, with my husbands help, still made it to the Princess's school registration to meet her teachers. I also wanted to go so I could pass along a small gift I had made for them. 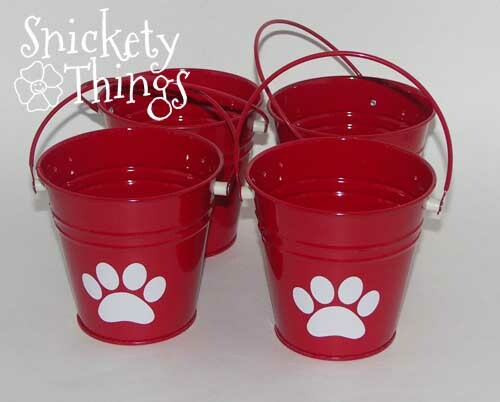 A few weeks ago I found these great little red pails at Target in the dollar section. I grabbed four of them not knowing what I was going to do, but knowing it would be school related. When I made the paw print for the dog treat jar I made a few extra for the cans. I know they are hard to see on paper, so here they are on the cans. 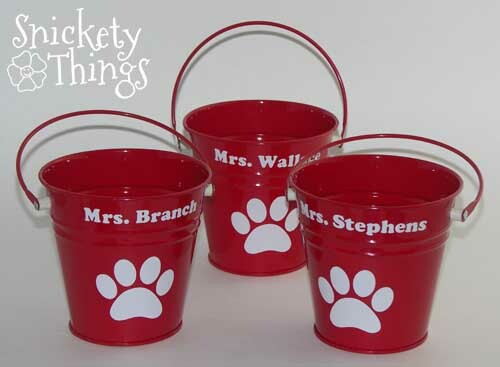 I still didn't know what I would end up doing with them, but now I had pails in school colors that were a bit representative of the school mascot, a panther. 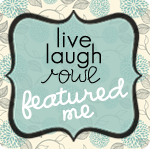 It wasn't until I started getting calls from the teachers to introduce themselves that I knew what I would do. I decided to put their names on the pails. Boo only has one teacher, but the Princess has two, so I used three of the cans. It took me a while to figure out how to get the names straight. When you put a straight name on a curved, slanted object it looks like a smile. Finally I figure out how to curve the names like a frown in the software (I don't have a screenshot of that, sorry) and they looked great when applied. I will say that I used a fair amount of vinyl trying to figure it out. Although they looked okay how they were, I decided that I could add a little more and threw in some Sharpies for each teacher (what teacher couldn't use extra Sharpies?). I liked all three of the teachers. I am looking forward to volunteering (as soon as I can walk) with them in the classrooms. 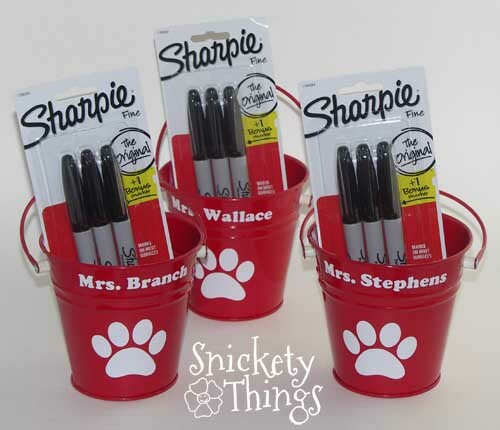 Are you giving teacher gifts for the start of school? These are too cute! 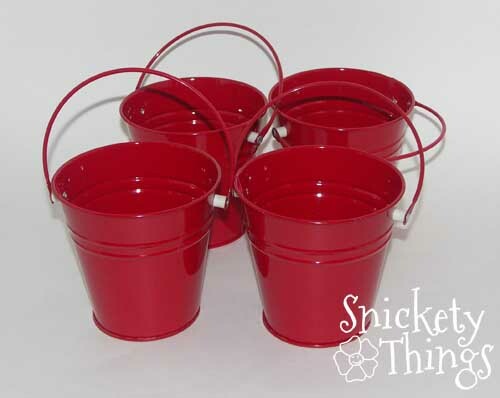 I'm currently in 'brainstorming' mode, trying to think of something new... these pails are a great idea! I really had no idea what I would use the buckets for when I bought them. I wish Ihad bought more now. Thanks for stopping by! Cute idea! I'm sure the teachers will appreciate them. I love these buckets! The Sharpies inside are a great idea! Thanks Jenny! I thought the Sharpies would be helpful. So cute! 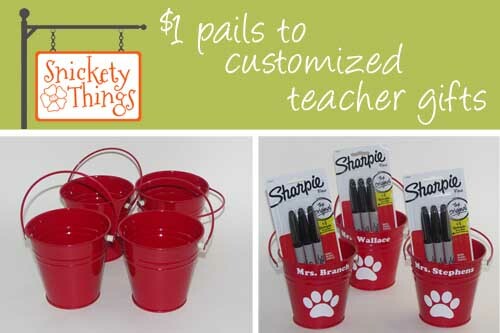 I teach Kindergarten and I would definitely appreciate the cute pail and extra Sharpies! Thanks! Good luck at school this year. 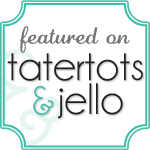 I hope you stop by Snickety Things again. This is a great idea! I'll have to share this! Really cute. Great work on these. these are so cute! I am sure they will love them! Great idea! I'm not giving teacher gifts to start the year...but I'm a teacher! One of these little pails would put a smile on my face. Things I know most teachers need (in case you don't have sharpies at home): pencils and pens (students go through them like crazy), white board markers (so expensive! ), post-it notes, and coffee gift certificates :). Thanks! I know the teachers have to buy a lot of what they use themselves. I always try to help. So sorry to hear about your leg. I am even more impressed that you still managed to come up w/ cute teacher gifts. Thanks Tara. I wish I could say I did these after I was hurt, but I did them just before. I just didn't post them until after I had given them to the teachers so it wouldn't ruin the surprise. Teachers can never have too many sharpies! I have the worst time trying to get names on curved surfaces too! I thought teachers could use Sharpies. I am always using them so I thought they would too.